Hop away in our Cotton Canvas Jumping Sacks! This fun set of four jumping sacks is a great learning tool for little ones as they provide remarkable cognitive challenges and physical activity benefits. 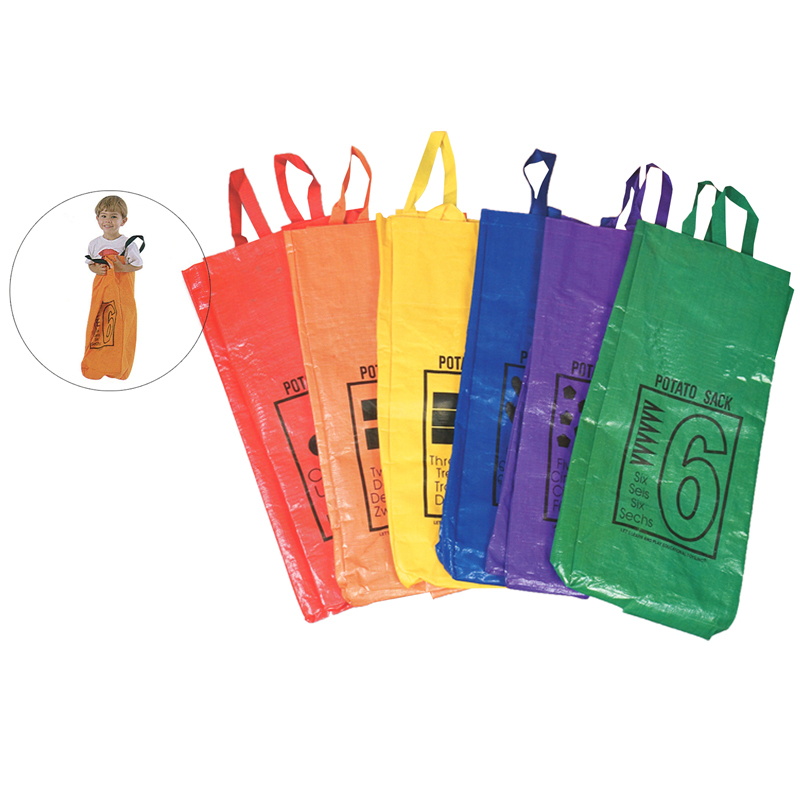 A unique feature of these sacks is that there is a gigantic colored pocket with a smaller plastic sleeve that enables the participants to label it how they would like. The gigantic colored pocket also may be used for storage and provides more options for games. The bag has a flat bottom and a super reinforced stitch for short and long races. It has long handles that are durable to aid kids of all heights. Bags measure 26" x 24". Set of 4: Yellow, Green, Blue, and Red. 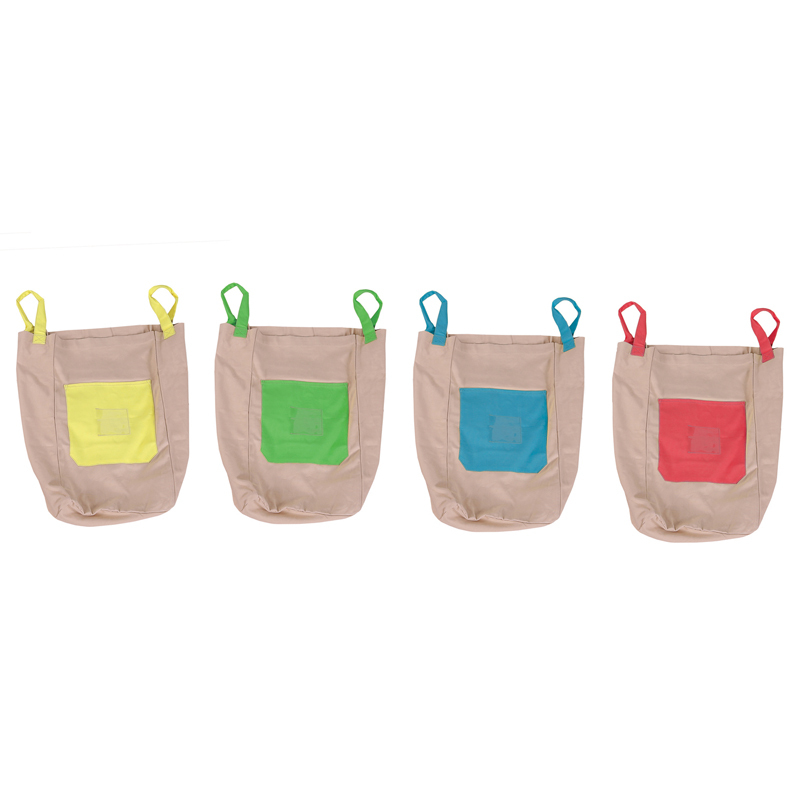 The Cotton Canvas Jumping Sacks can be found in our Potato Sacks product category within the Active Play.